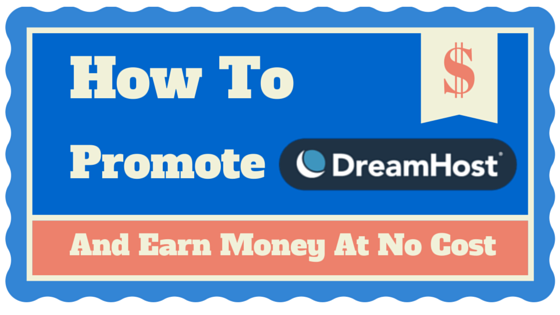 How to Promote DreamHost & Earn Money At No Cost For You - Blogger I.Q. Disclaimer: I always believe in transparency on the web and so let me disclose at the outset about this. I have written this post only with the sole purpose of sharing what I’ve learned, with you. As long as you use the Promo Code I’ve given at the end of this post, I only receive a commission for referring you to DreamHost – because I have signed up for DreamHost affiliate program. Otherwise, the DreamHost doesn’t pay me for writing this. I am currentlly using DreamHost as my web hosting service provider. I can say that they are one among the best and oldest in this field. They have been in the scene since 1996… and that is even before Google, Inc. was founded. 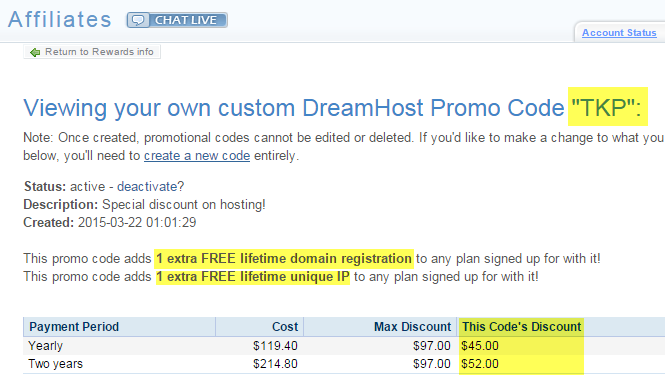 Not only is DreamHost great with their service but they also provide really good hosting plans depending on our needs. Though all hosting companies provide such options, DreamHost service will stick to your heart after working with them. I can say that after my experience working with them as my hosting provider, they are amazing people! I especially like the way they interact with me – they are really friendly people in my experience. 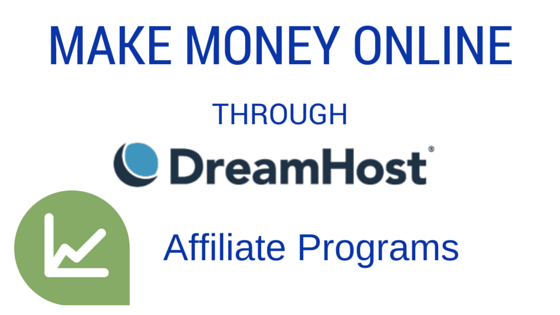 In this guide, I will show you how to earn money from DreamHost as an affiliate partner. What’s great is that you need not even have a blog or website of your own. Just create a PROMO CODE that you can give to your friends, fans or Twitter followers and let them know that they can avail a discount if they choose to buy hosting from DreamHost. They get the discount and you get referral commission – a win-win situation – at no cost for you! You can earn money from home easily, upto a whopping $97 for every sale you make! And that’s a crazy deal if you ask me. Go here to signup for free DreamHost affiliate account OR login to your existing account page here. Give it away to your friends, readers via a blog post, social media, newsletters. That’s all. Earn money online…! 1. Create your own DreamHost Affiliate account. 2. Create a Promo Code a.k.a Coupon Code. Click on the ‘Create Your Own Promo Codes!’ link and Click on ‘Create A New DreamHost Promo Code’. As you can see from the screenshots above, you will get a maximum of $97 commission for every sale you make. There are also a couple of Extra Offers that you can add to your Promo Code to make it even more lucrative. (2) you can give away a Unique IP address as a bonus which can help in setting up anonymous FTPs or enable secure connections using https. If you are unsure as to what these are, just move on. It’s not mandatory for you to give these add-ons. Also note that you can edit the discount value. On the screenshot where I have marked ‘editable’ – you can key in the value that you want to offer as discount. The $97 maximum amount (minus) whatever the discount amount you key in, will be your affiliate income. 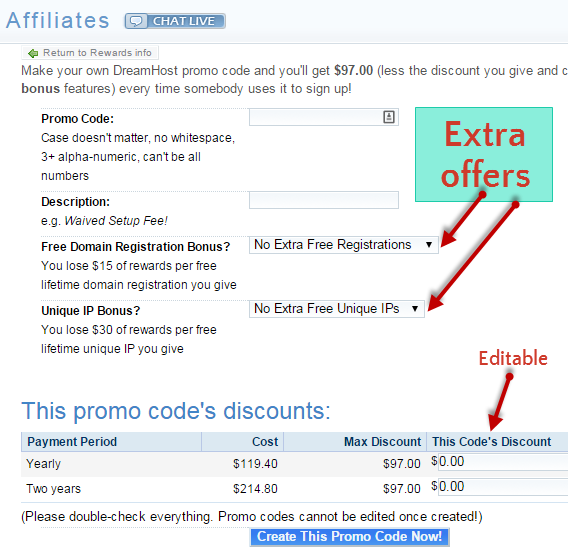 The $97 amount is inclusive of the discounts and bonus addons you are willing to offer to your friends and readers. Let’s say we create a new PROMO CODE with 1 Free domain hosting which costs $15. This is the best way to gain more readership and friends. However, if you want to earn money (which is why I assume you’ve been reading this far), then ensure you keep a cap on the maximum discount you are willing to provide. Create a PROMO CODE with $59 discount on web hosting for your readers. This will give you $38 commission ($97 less the $59 discount price) for every sale you make. $59 discount to your readers who will use your PROMO CODE to purchase web hosting from DreamHost. Earn Money Online From Home Through DreamHost Referral Program! I named my Promo Code as ‘TKP‘ – which even you can use so you get the following freebies and I get a little commission too ($7). This Promo Code is something I created to value my reader’s time, because as you can see, though this is a Promo Code that gives me a referral bonus, I made it very low from a profitability standpoint. The reason being: I wanted to giveaway this as a gift to my loyal readers. In fact, if anyone opts in for 2 years package, I will get $0 commission. And that person gets the maximum great offer in this plan. Either way, you are at a greater benefit. 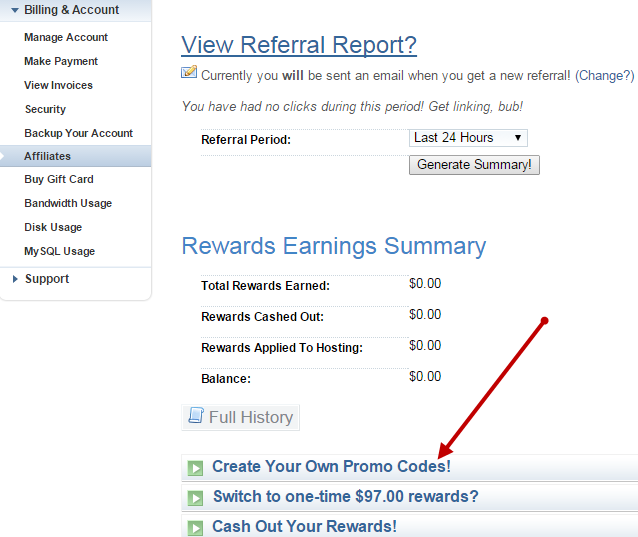 If you opt for a 1-year hosting, I will get just $7 as an affiliate income. That’s pretty much it is to it. This is just my call, but you can decide how you want to fix your commission as. In the near future, I might reduce my discount, so please feel free to grab this offer until it’s available. If you liked my guide and if at all you decide to buy hosting, please use my promo code “TKP” and that will fetch you 1 extra free domain, 1 extra Unique IP, $45 discount. And will fetch me $7 for helping you show a great web hosting company. Now that your code has been created, it’s time to let your friends and readers know that there is a discount voucher available for them to make use of. The best way to do this is to write a blog post and let your readers, friends know about it. The key is to create awareness. You can also do this by posting it on your Facebook page or tweet about it in your Twitter. In my case, I created a widget and placed it on my sidebar so my visitors can see it. Can I promote DreamHost even if I am currently not using them as DreamHost service provider? Yes! You need not be using their services to promote them. You might have used their services earlier, or could have heard from your friends about them. Whatever the situation, you can promote them and earn money for free regardless of the fact whether you are their current customer or not. Will I also get paid for my sub-referrals? Can I use my own PROMO CODE to purchase hosting for myself? A BIG NO! This not only violates DreamHost’s affiliates terms and conditions, but also is unethical. 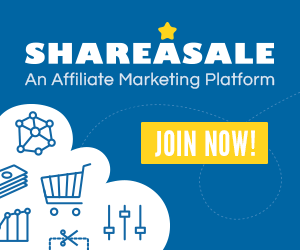 The reason I have written this long post is that I wanted no stone to be left unturned in learning about becoming an affiliate partner for DreamHost. Since I myself use DreamHost for more than a year now, I can happily recommend this for anyone. I hope this helped you and if you’ve read this far, then am sure you would have gained some knowledge. If there is anything that you want to know more about this topic, please do leave your comments below and I will respond to you at the earliest. I found a bunch of promo links online for the $97 off but none of them seem to give me the discount when I go to sign up. Can you send me a promo link so you will credit for it? You have created an informative article about Dreamhost affiliate program.But I also suggest everyone to cloak affiliate links using GoCodes or Redirection plugin.What do you say? I agree with you. Cloaking is a decent way to show not so good-looking URLs in a less clutter way. Plus it helps with Google SEO concepts too.